I went on holiday earlier this year to a resort somewhere in Spain. Everywhere you looked, there were kids flossing, taking the L, and performing a range of Fortnite emotes. It’s a global phenomenon. Nowadays, if a kid finds out I write about games for a living, the first thing they ask is, “Have you heard of Fortnite?” Yes, little person, I have. Everyone has. Epic Games activated life’s infinite money cheat when it added a battle royale mode to its Early Access co-op shooter. Investors can’t pump money into the game fast enough, and neither can the kids and adults playing the thing. A constant stream of updates and tweaks keep people playing. New skins, emotes, and other cosmetic items hit the in-game shop each week. It is a beast – a machine designed to keep people playing. Because of how it is presented, that makes me uncomfortable. When the battle royale mode first launched, the promo art was all pictures of combat. Nowadays, it’s usually artwork of smiling cartoon characters, generally without even a whiff of death. 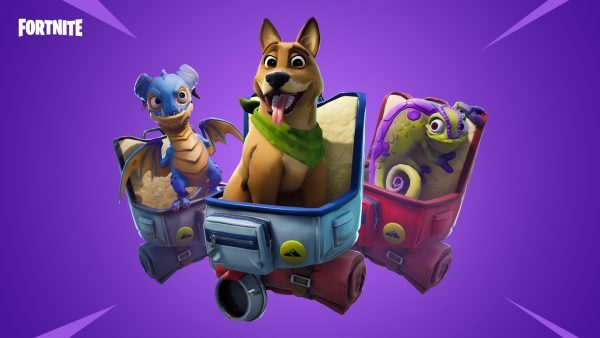 One of the biggest recent updates added pets that you can carry around in your backpack. These animated critters react cutely to the war raging all around you. 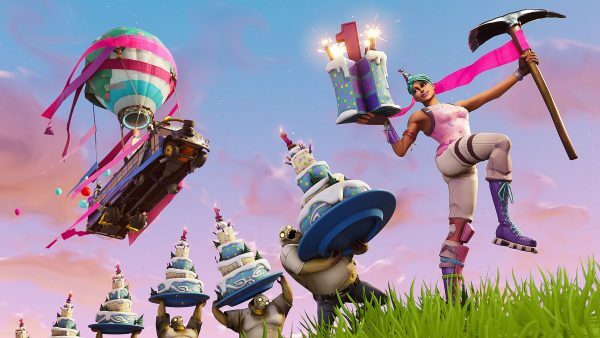 Epic knows the bulk of its audience are young – it markets the game and creates updates to cater to this age group. When we put up our guides for the weekly challenges, there’s a noticeable jump in traffic when school finishes. Recently, Epic announced an official Fortnite nerf gun – the Epic AR. The thing is, if you listen to youngsters playing this game, none of them call it the Epic AR. Instead, they call it the SCAR. 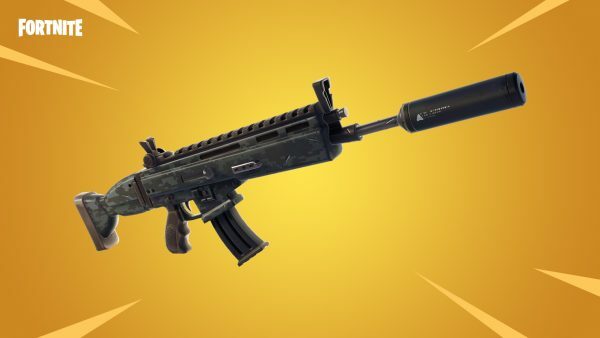 Fortnite’s weapons are modelled after real world guns, and children learn their proper names as they play, as well as how they handle, effective range, stopping power, and more. They might be legally distinct because of the different name, but it is still glamourising actual firearms in a game where you run around with a puppy strapped to your back. It’s not like it’s even necessary. Why couldn’t Epic model original weapons for the game? Laser rifles and other sci-fi firearms would suit the overall aesthetic, after all. Children learning these weapon names is likely partly down to the Call of Duty YouTubers coming across to profit from Fortnite, bringing their knowledge of firearms with them. But it was Epic that made the guns look the way they do. This is without getting into the microtransactions. Yes, they’re only cosmetic and offer no actual advantage. Still, if you were ever the kid with poor parents, you’ll know what it’s like to turn up to a non-uniform day at school without wearing the latest brands. Kids are cruel, and they pressure each other into rocking the latest duds. That same mentality infects video games as well. If you’re a kid running around with the default skin, your friends will take the piss. At a minimum, you need to have the Battle Pass to be accepted – in fact, a subscription to the Battle Pass is the only way to take part in some of the game’s most interesting content: the weekly challenges. Then there are skins that disappear from the item shop, making them rare and sought after. When they return, young ones pressure their parents to buy them for them, and the prices of individually-bought skins are genuinely ridiculous. 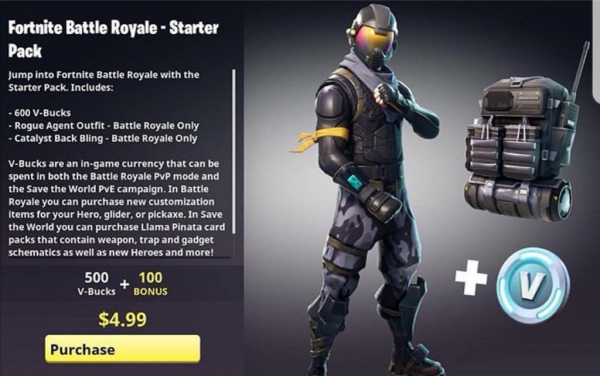 Legendary skins can cost 2,000 V-Bucks. It is £19.99 to buy 2,500 V-Bucks. To make matters worse, the skins and emotes, for the most part, aren’t even original. They’re sometimes homages to other franchises and characters. In the case of the emote dances, they’re often taken from black artists without permission. Epic makes money from this, and the people who came up with the dances in the first place make nada. The children performing the dances at every holiday resort around the world are oblivious to the original source of these choreographed moves. There’s no denying the impact Fortnite has had on this industry, but the smiles of its brightly coloured characters mask something darker – a money printing machine built around real-world firearms and emotes ripped off from outside sources. So, who’s buying their child a replica FN SCAR for Christmas?